Helping make your professional environment appealing, relaxing, and productive. We offer a personalized relationship with business, corporate, institutional, and professional clients. From local small community business offices to large corporate, healthcare, and professional spaces. 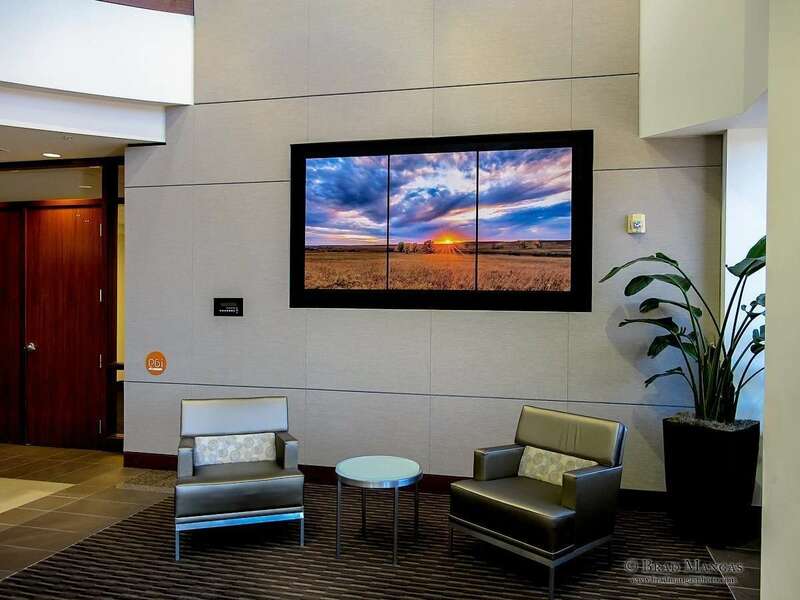 We have one goal, to provide your professional environment the art you want, need, and can afford. Most often clients require a complete start to finish project. This includes initial consultations with you of spaces in which you would like art displayed. Detailed understanding of the art you desired and that we can provide. Finished art options including framing and non-framing options, delivery, and installation. We will provide complete no obligation price quotes for any business, corporate, and professional workspace. We understand your time is valuable and most times budgets are limited. You are the customer and your needs and requirements come first. Based in Topeka, Kansas, we can personally serve a regional area of approximately 50-75 miles without additional delays due to extended travel. This includes the cities of Topeka, Lawrence, Manhattan, Emporia, and all smaller communities in between. We can provide our personal services to the Kansas City and Wichita areas as well with only a slightly longer completion time due to additional travel time requirements. Typically we are able to assess your needs, work with you to develop a plan, produce the art, deliver, and install, all within a 6 week time frame. When possible, we prefer to do installations during the off hours with weekends being preferable. We pride ourselves on being able to provide you and your business environment with the finished decor, look, and feel you desire all while staying within your budget. Utilizing from the thousands of unique, one of a kind images presently offered from Brad Mangas Photography we can truly make your space unique. We offer a variety of sizes, framed, non-framed options for our fine art prints. 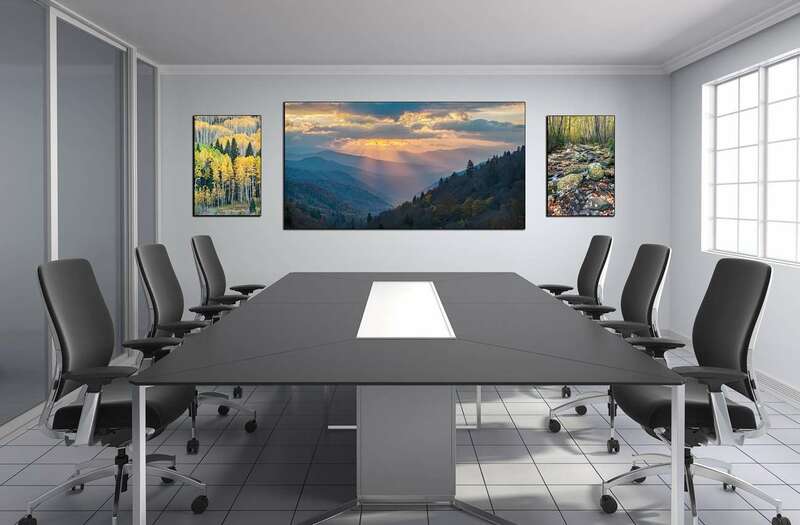 Produced on archival fine art papers, canvas, acrylic, as well as unique finishing options all produced specifically for business and corporate clients. You will always have the option to select prints only and work with your local frame shop if that is what you prefer. Business owners and managers sometimes forget the important role that the physical environment plays in employee satisfaction and productivity. People are often surprised at how transformational what we do can be for a workspace—whether replacing outdated artwork or addressing blank walls, it makes a BIG impact on a space. The focus of our work is nature, landscape, rural settings, and abstract nature art. With a special focus on Kansas landscapes and specifically The Kansas Flint Hills. We would love to help you with any of your business, corporate and professional workspace art needs. Use our contact form to get in touch and let us know how we may begin helping you today.